Pizza is an all-time favourite of mine. Not the stodgy stuff with cheesy-stuffed crusts, loaded with a bizarre mix of toppings, but proper Italian-style pizza cooked to perfection in a wood-fired oven. Short of a meal out in a top pizzeria – a girl can dream, you know – you can make it at home with just a few basic ingredients. And this is where the naan bread comes in. 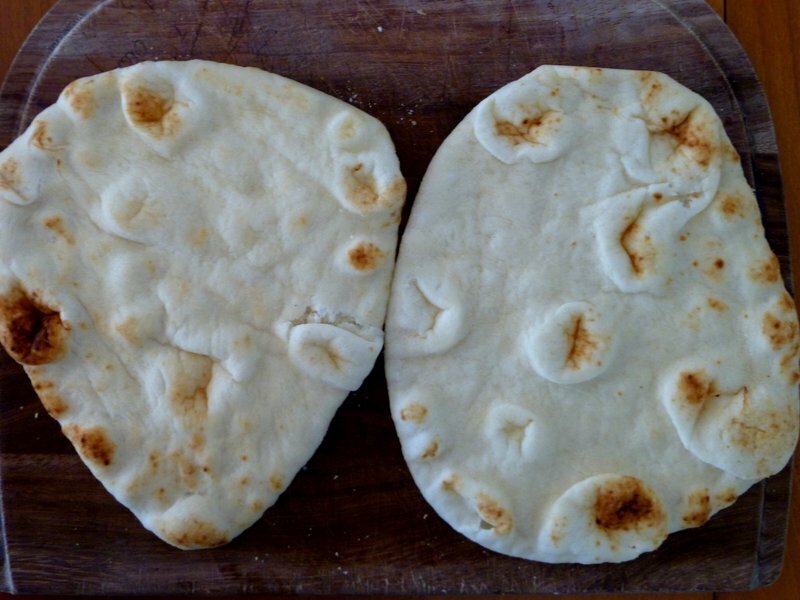 Why go to the hassle of all that weighing and kneading, when you can use naan bread for a quick and easy (if not authentic) pizza base? After all, as I see it, if Nigella says it’s ok, that gives the rest of us the green light. As with a lot of our adventures in the kitchen, I stumbled on Naan Pizza quite by accident. It was lunchtime, we had run out of bread yet again, and, the fridge was looking terribly bare too. That is, apart from the packet of naan I was saving to go with a curry I hadn’t got around to making, and some grated cheese. So I Googled “cheesy naan” and up popped the pizza idea. It only takes 5 minutes to cook (once you’ve pre-heated your oven, that is). True fast food. 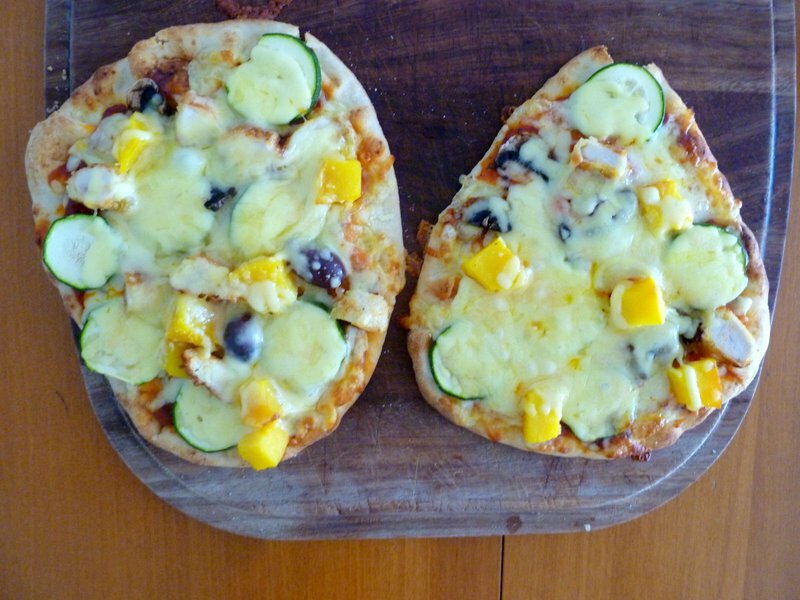 We’ve made Naan Pizza a few times now, generally at lunchtime as a fun alternative to sandwiches. And Ickle likes to help decorate it on occasion too. 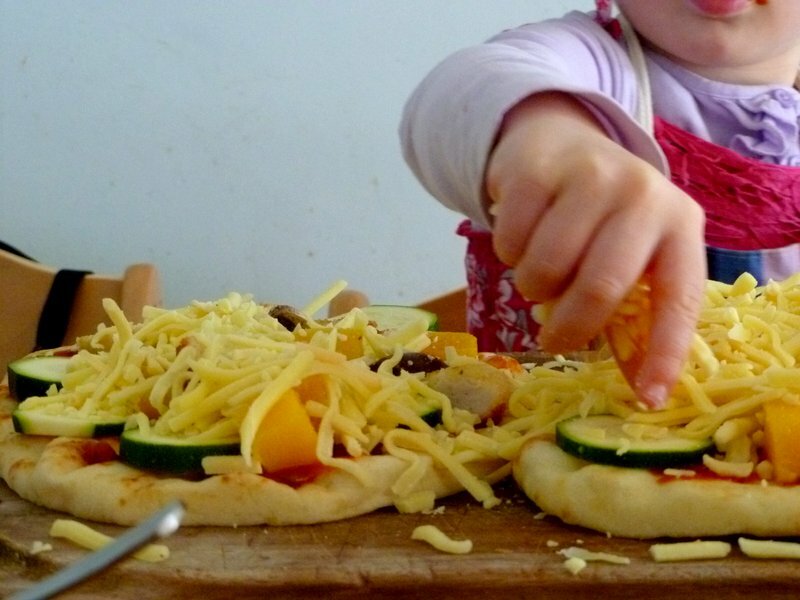 Especially when there is a decent range of toppings to spread, sprinkle and squash. 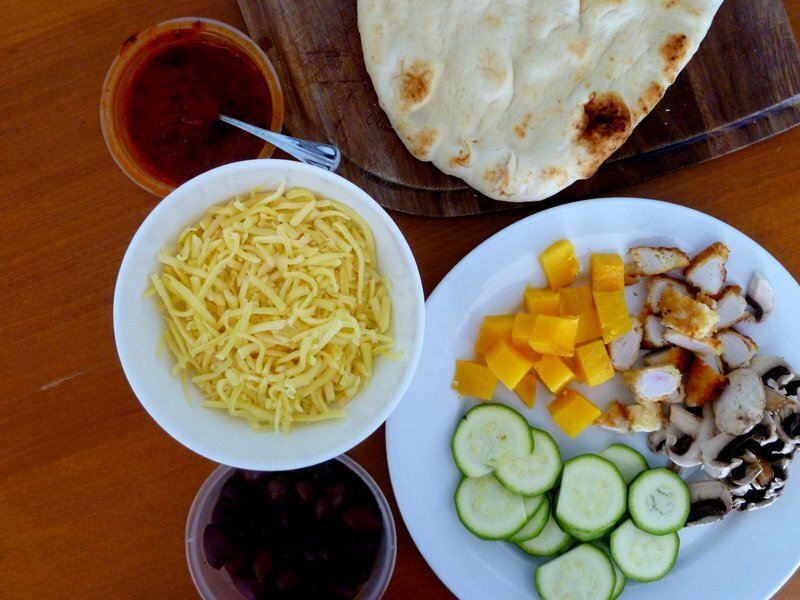 This entry was posted in Food and tagged naan bread, Naan Pizza, Nigella on August 31, 2015 by Laura.